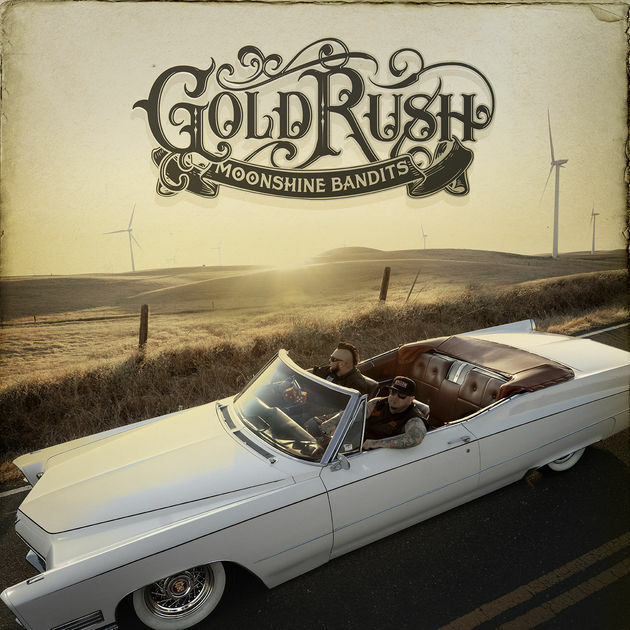 Listen Free Now: Moonshine Bandits Strike It Rich With Gold Rush! | EasternSurf.com | All East Coast. All The Time. Listen Free Now: Moonshine Bandits Strike It Rich With Gold Rush! January 28, 2019 • Music, New Release! Man, it was a downright tough pick deciding on what new music to review with some amazing release’s flooding the digital record market right now. These include – but are in now way limited to – a posthumous, David Bowie compedium ( Loving The Alien 1983-1988 ) along with fabulous sounding, upon first listening recordings by John Hiatt ( The Eclipse Sessions ), Kurt Vile ( Bottle It In ) and what’s sounding like a Tom Morello inaugural solo masterpiece ( The Atlas Underground ) with the former Rage Against the Machine and Audio Slave member as well as recent Springsteen sideman Morellos disc a probable shoo-in for our next review. However, it is the truly one-of-a-kind. unique morphing of Hip Hop, Hard Rock, New Country white boy / white lightening fueled rap of The Moonshine Bandits ‘Gold Rush’ that has captured our attention – and ears – with their blend of equal parts House Of Pain, Jason Aldeen, Uncle Kracker, Kid Rock, Drive-By-Truckers infused with the kind of booming, heavy bottomed big rap beats and vocals that Dre, Snoop, Terminator X of Public Enemy fame would be grooving to these joints while sipping on their gin and juice. Long before people figured out country and rap had a lot in common, the Moonshine Bandits released their genre-blending album, “Whiskey & Women” and took the world of outlaw music by storm. Their message spread as they rolled from the West Coast through the heartland, the dirty South and beyond on their tour bus. With the release of Gold Rush the boys re-enforce their backwoods bravado, street-wise song writing cred, patriot’s pride, country soul, hard rocking, keg thumping beats that are the qualities that Moonshine Bandits have championed since they began burning up the California club circuit back in 2003.